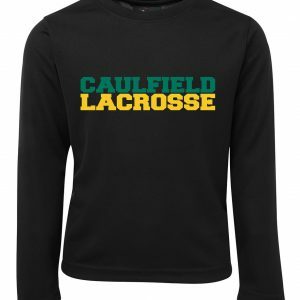 Caulfield Lacrosse Club, established in 1909, is a co-ed lacrosse club located at Caulfield Park in Caulfield North, with junior and senior teams participating in a range of competition levels. Under 11s mixed boys and girls – Tuesdays 5.30pm-6.30pm, beginners welcome. Under 13s, 15s and 17s boys – Tuesdays and Thursdays from 5.30pm to 6.30pm. Under 13s, 15s and 17s girls, Thursdays, 6.30pm to 7.30pm. Senior women, Thursdays from 6.30pm – 8pm. Senior men, Tuesdays and Thursdays from 6.30pm – 8pm. Where: Caulfield Park main ground and pavilion, oval 1, enter from Balaclava Rd. Caulfield Lacrosse Club has vacancies for new players in all junior and senior teams. Please fill out our Contact Us form and a Club representative will be in contact to help you get started. Caulfield Lacrosse Club invites sponsors to partnership with our club for the 2019 season. Caulfield Lacrosse Club is thankful to Lacrosse Pix for the use of their images.